We’ll teach you how to make this! Join Depot Director Marianne Peters and Master Gardener Karen Noll for a class on composting! The free class will be held at 7 p.m., June 22, at the Recycle Depot office, 1900 Walter Glaub Drive, Plymouth, Indiana, and it’s open to all ages and experience-levels. Are you new to composting? Learn how to get started! 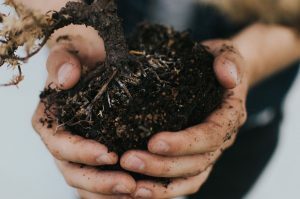 Are you an old-hand at composting? Get some new tips and trouble-shoot. Participants will receive a composting handbook and have a chance to purchase a bin for $40.00.